Hey guys, I've been making this grid based thing about a cursed pirate. I caught myself feeding on my scope creep tasks... so thought I better get some feedback on what's there. This is what it looks like if you don't have time to play. The randomness of the monsters/items (actors) being spawned hurt any kind of strategy, at best you have something like 2-3 move horizon trying to get the pistol and bullets if there creatures or trying to line up the skeleton curse charm combo, but anything beyond that I don't know that you can plan for, although stocking shields along the NE and NW walls seems like a dominant strategy. I'm thinking of ways to try expand the planning horizon. When using items that clear more than one actor at a time, the resolution of the board becomes really difficult to predict. The randomness of the spawns can lead to really unfavorable board make up that can make it impossible to beat, Really want a way to ensure that there's always a way out of the current state, so that when you die it's on you, not the randomness playing against you. I'd like to know if the short horizon on decisions is something that's bothersome or not? and how easily you able to predict the resolution of the board before taking actions? and lastly, are there enough actions that make is seem like the randomness of the incoming actors is 'fair'? On first glimpse, without playing it yet, the information is harder to parse than Dungeon Cards, until you internalise what everything does. But then that makes new things more difficult to learn... Maybe that's something to look at. 1. Information being hidden is annoying. At the very least stuff like player life/stats should be always visible. But I feel like much more should be too, to the point preceding this. Working out the results of combat is also annoying, having to mouse over the enemy and then yourself and then enemy again... Things like that should be easy. Desktop Dungeons tell you before you make a move whether you'll die or not, or how much health you'll lose. 2. The decision space feels VERY small. And often there seem to be easy best moves - there's never a downside to picking up health (no max health) and other pickups before hitting enemies? There feels like there really should be more tradeoffs. 4. Shooting still hurts you? And you can't shoot non-adjacent? Don't quite understand the pistol. I think the most important thing is creating depth in decisions. Right now it seems like a pretty straight forward run towards dying eventually. - The short horizon didn't bother me that much but I got lost on a few other details (below) so didn't reach a point where I was thinking that far into the future. - On fairness: the second game I played felt pretty brutal. I think there was a single item tile, rest were enemies, certain death. - Item in bottom right, didn't know what that was. I tried to mouse-over the item for more info but got nothing. - First time I saw bullets it wasn't clear to me what they were. Mouse-over text just said "pickup" so I thought it was an extra inventory spot? - Wasn't sure how to use "kill all skeletons". Seems like I had to right click on my player tile? - At one point I got really excited, picked up a bunch of swords in a row, figured I'm gonna be sooooo badass at damage. Checked back at my stats a few turns later and damage was back at 1! Clearly I didn't understand how that system works? - After playing a few rounds, I'd definitely like a "progression" / "score" indicator so I know how I did vs previous runs. Heartily agree with Tuism on being able to see player stats without having to return and hover on player. @Tusim - Thanks for taking a look. That Mac build, glad it ran :D.
Cool haven't seen this Dungeon Cards before, I've played something similar called Look my Loot, which is plays almost the same. Another which I thought was cool but plays more like a puzzle is Card Thief, which maybe a direction I could take this if I can't find away to fix this horizon thing. I think both Dungeon Cards and Look my Loot, suffer from this short horizon issue that cripples tactics, something I've been considering is a larger board space with new actors arriving in straight rows and columns, similar to the way threes introduces new tiles. 1. Noted about visual clarity. 2. Decision space being small, I imagine it will increase with more items and trade off mechanics, but when you only have options for cardinal movement and board size it's inherently limited, so that's what I'm trying to test to see if it's mechanically compelling enough to continue with, before adding a bunch of content that doesn't change it fundamentally which is what I'm having a hard time validating myself. 4. shooting doesn't hurt you, or at-least it's not supposed too. Picking up items you can only have one item equipped, when you have the pistol it's an active item, unlike say the sword, which is passively giving you extra damage. 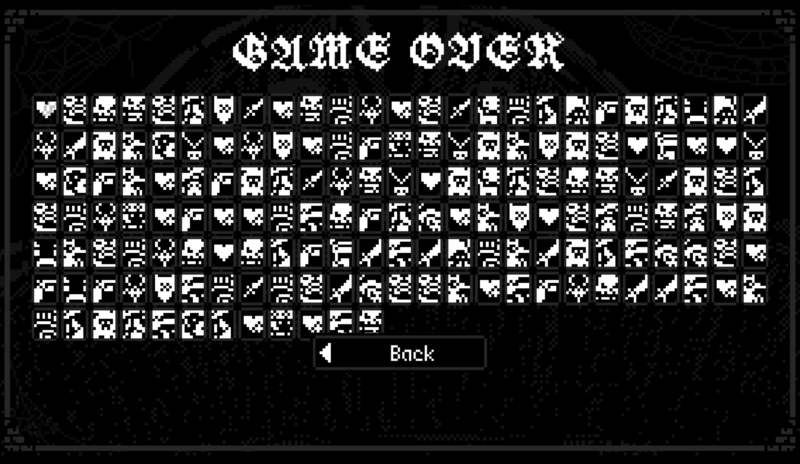 The pistol works by right clicking enemies and won't work against the skeletons. Got some clarity issues here too, and not too fond of the right click left click attack thing. @ashashza - Thanks for giving it a go. - Bunch of items in a row, ah. interesting. So it's 1 item non stacking, but that's cool I have this as one of the scope items, for damage tiers based on equipping items successively. - I have another Idea for the larger meta progression, that I'll start on after I'm mildly satisfied with this core bit of board gameplay, it's hopefully better than this not very inspiring score number I've done before. Thanks for playing and sharing your thoughts, it's been most useful. I played quite a few rounds, and I think I had the game pretty well figured out when I got to this score (pictured above). I don't think the short horizon bothered me much... but the side effect of the short horizon, that of just ending up in an impossible situation because three new enemies just spawned that I couldn't have predicted does bother me. 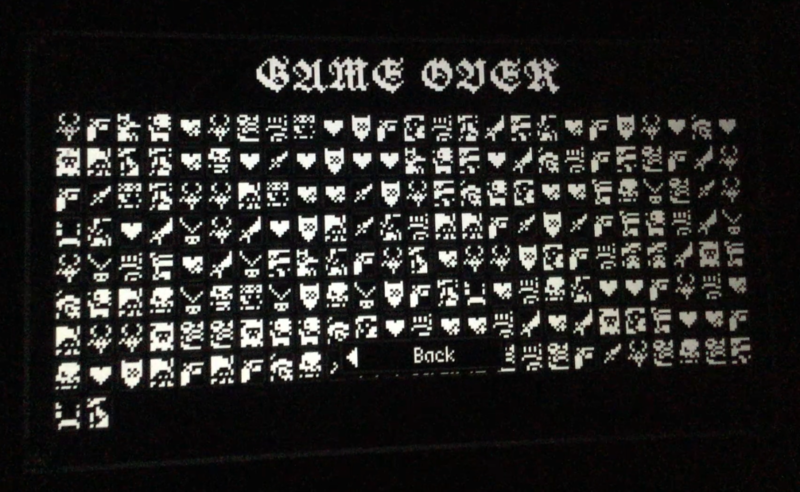 This is more of a problem early on, where some runs I just died quickly and some other runs I got up to 30 health (at which point the RNG kind of levels out because you're pretty far away from dying). I feel like the game could quite easily support a board size of 4X4, which would increase the ability to plan? I feel like if the board expanded a bit through pickups in game that might be nice (if it is indeed fun to play in a larger grid), Earning more space to play in seems like a rewarding feature, though maybe that extra space should be temporary. Otherwise, maybe some abilities that can be stashed? I felt like I ended up wasting abilities a lot. Maybe some way to give the player a few more tools to get out of a sticky situation will make a death feel more fair. Even if it still isn't fair, the player won't feel as helpless with something like a stun-grenade in the back-pocket that stuns nearby enemies for two turns and stops them dealing damage. Unfairness isn't as bad as the feeling of a lack of agency. The positive side of such a small board space and such a low event horizon is that the game is relatively relaxing. A game like Desktop Dungeons expects the player to plan so far ahead that it's really tiring to play (due to decision paralysis). A game like 2048 on the other hand feels a lot more relaxing because there are fewer options to weigh up at any moment and there is only so far you can plan ahead usefully. @EvanGreenwood Thanks for taking the time to play and give some feedback. Yes that would be the RNG, something that I'll need to figure out a good way of equalizing. At the moment it's a simple 50/50 chance to spawn [enemy] or [pickup / item] which is not fantastic. I was thinking of pre populating a list for a 'round' and sorting to ensure an item gets spawned within a set number of positions after an enemy. I don't think the short horizon bothered me much... I got up to 30 health (at which point the RNG kind of levels out because you're pretty far away from dying). This is a good point, something that @Tusim pointed out aswell that the health has no limit. 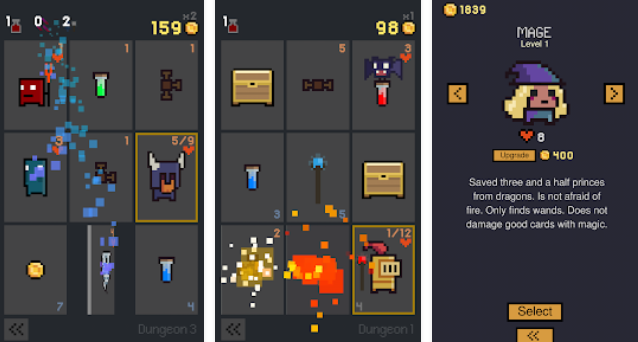 Will add item \ pickup for adjusting max health. Also considering that the 'round' should not last more than half of what you achieved in the run you posted above. I think there's quite a bit of fun to be had in short play sessions, with some meta persistence. I feel like the game could quite easily support a board size of 4X4, which would increase the ability to plan? ... space should be temporary. I agree, I hadn't thought of temporary space though. That's really neat, could open up paths temporarily then they collapse to rid multiple actors at once, I like that. Otherwise, maybe some abilities that can be stashed? ... Unfairness isn't as bad as the feeling of a lack of agency. Initially was hoping to get away with the single equipped item because it makes looking at the path through the board more meaningful, the order becomes essential, but it's clear that holding multiple items opens up the decision space quite a bit and helps negate the impossible positioning. The positive side of such a small board space and such a low event horizon is that the game is relatively relaxing... fewer options to weigh up at any moment and there is only so far you can plan ahead usefully. Yeah I want to attempt keeping the game in the simpler space, hopefully that means development remains simpler and I'll have a better chance of sticking with it longer. Maudit is awesome! I playtested this game several times, and find it super addicting. -The spawn randomness starts off perfectly fine. The skeleton curse charm combo saved my arse a few times :) , and health and defense always came in just on time to keep me (most of the time) above 10. The board does however eventually become unfavorable, as near the end, there were only bloodthirsty monsters left. -The short horizons scenario doesn't hinder anything either, I had no problem with it whatsoever. Once I got the hang of the game and began speedrunning, making quick decisions (for me) actually made the game more fun. -Predicting the board resolution is usually pretty decent. I like to hit a few monsters with bonus damage, and then chug my way through a few items to try recover a bit. Another cool thing is that once you have enough health, you feel brave enough to take on anything without hesitation. This balances quick decisions and planned strategy. -Randomness: first 85 percent of game is totally fair. Last 15 percent feels like running on dry or next-to-no items. -The text appeared slightly confusing at first, but I understand it's a pirate style. I eventually got the hang of it. -I agree on stacking CERTAIN abilities. Definitely stacking damage with daggers and cutlasses, so I can vanquish a skeleton king without a charm or curse. You're lucky with this concept, you can pretty much do whatever you want. Maybe different guns and more enemies, but only very very later on. -If you want a 4 x 4, have it as a different level or game mode. 3 x 3 was super comfortable for me, and when there was stress, it was necessary; it made the game more fun and challenging now and again. -Once everything is done, in final stages of development, maybe change music. My question: do you plan on introducing more enemies and items into the game? Just a personal preference of mine: having special bosses now and again, like a kraken or a shark? Overall a bloody great game! To the next players: try beat my score. Brilliant, simple and engaging game play. What I like most is how simple the mechanics are, yet they still result in significant emergent complexity. I do not find the horizon (small) bothering at all. The board size keeps the game play quick and engaging. The limited space is a major factor in the simplicity of concept and it allows the user to somewhat plan ahead. 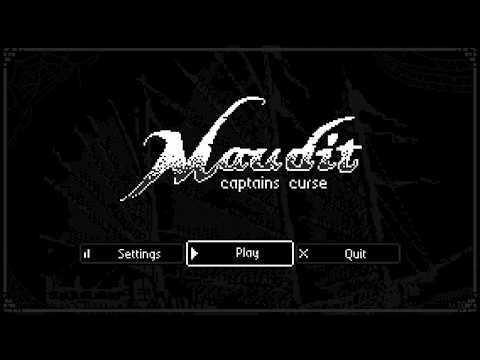 Overall, I thoroughly enjoyed playing Maudit and will probably spend some hours this week trying to fill a game over screen! @kenton Wow that run certainly lasted a lot longer than I had anticipated. Thanks for sharing. I agree, I'm searching for a good thematic readable font. I may just return to the clean sans-serif. Yes agreed, it's totally stand-in. Searching for SFX and Music is seriously time consuming, so always seems to take a back seat because it doesn't "feel" productive. Yes to Kraken!. It's already in the scope list. Kraken - an actor that moves around the world map, when you cross paths, you enter special combat. Attacks with multiple tentacles which hit the board in patterns in X delayed turns. Limbs are only vulnerable to melee attack while on the board. The enemy count sits at 17 and the pickup/item count sits at 10. I'll round the enemies out to 20, but actually want to make them more interesting than just different attack/health/gene type. For instance an enemy that's indestructible until it's hit with something maybe the (blast) which then makes it vulnerable to attack. I've got a long list of ideas for more enemies and special enemy abilities, the scope dragon is alive and well. I don't know that there's significant emergence just yet. The system is still fairly primitive. I haven't counted but don't think Maudit has many verbs. I do think adding another controllable player actor could be really interesting, being able to change the board from two separate points seems like it fits well with the games design pillars. Perhaps experiment with different movement options.. Yes, this is one of my issues with the board at the moment. I'm thinking spawning enemies on the edge, I've experimented with this in a previous prototype and it was far easier to understand the resolution, because the path was straight. What I'm trying to weigh up at the moment is the usefulness of having some part of the board being more static. It's useful because you can path items there for "storage". I really like this idea of trying to store items, but maybe this is were the bigger inventory is supposed to come into play, and have some UI based actions for setting off the combinations instead of just moving into the cells. I do like the simplicity of just doing the best you can with the cardinal directions to create the combos. There's something quite elegant of having very simple input into a system that can resolve quite differently. It also means it will play well on mobile (not that it's a design requirement, just a bonus side effect). You select an island (small ring) to visit and then plot the course (the flags). 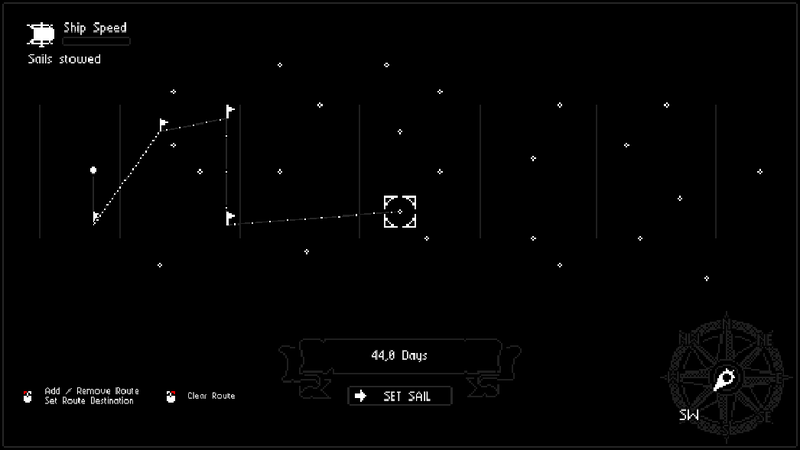 The point of sail affects the cost in days for the route, the days are depicted by the dots along the route.